The knife is a Titanium Frame-Lock Flipper, designed for fast one-handed opening, tip-up, right hand carry. 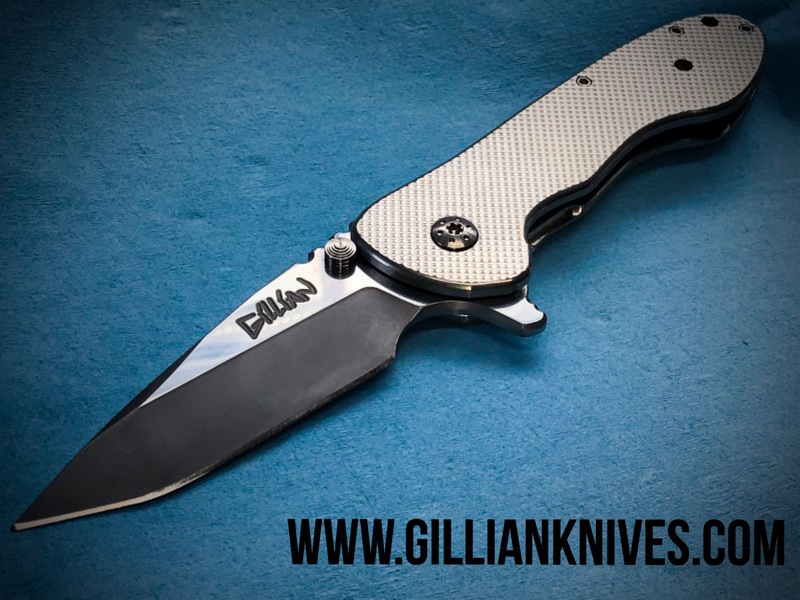 Tanto style blade; available in two types of Stainless Steel CTS-XHP, or CPM - S35VN heat treated to Rockwell hardness of 60, and stonewashed finish. The blade locks up solid, flips easily on caged bearings, and has a strong detent. Features include milled knurled titanium textured surface, milled titanium pocket clip, titanium hardware. Stainless Tool Steel blade Thickness .145"